Your beloved Grandma Lowena passed on. You are past tears and you are moving on with your life.Your lawyer Mr. Pender has given each of the family members pieces of her jewelry. You received her soldered together wedding set and clip-on pearl earrings.Hmmm, now what? You can't wear those clip-ons as they are. And her ring overwhelms your hand. "You're Not Changing That Are You?" Your Grandpa Joe doesn't want you to change anything, so you've put everything in the safety deposit box. You're thinking, maybe when your daughters turns sixteen you'll give them her great grandmother's jewelry. Nope, nope, negatory, that's not the right answer. Jumping Up On My Soapbox, or My Opinionated Opinion! I have a soapbox to jump on here. I see too many neglected treasures on a regular basis. These are gifts of love and meant to be worn and talked about. My mission is to pull them out of the safety deposit box and bring them up to date. To change them to your taste. I want them to sing, so you'll wear them. Those were gifts of love, they need to be worn. And no, I don't mean you need to wear clip-ons if you have pierced ears. I mean change it, alter it or do what's needed so you can love it and wear it. 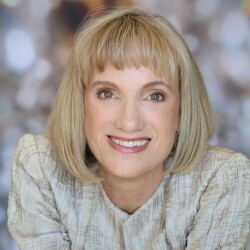 In the case of the pearl clip-ons, my client liked the look of the earrings. They reminded her of her grandmother. 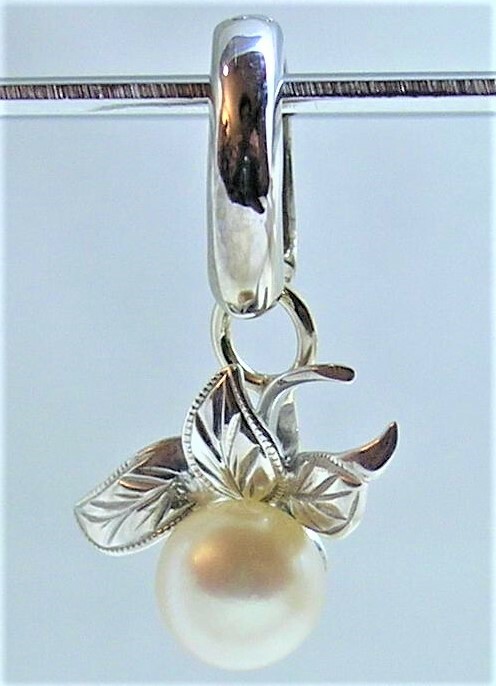 After sitting unworn for ten years, we converted the pearl and leaf design clip-ons into hanging ear charms. Now she can wear them on three of her pairs of hoops. Whose Gift is it Anyway? When you are given a gift, it now belongs to you. Other people can't tell you how to treat it or what to do with it. That'd be like giving your daughter a bike and telling her she could only ride it on the sidewalk and never go beyond your street, ever. Oh, you do that? Don't do that. If that ring is too big and bold for your hand, re-make more than one ring! 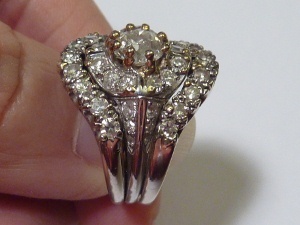 In this case we separated the two curved diamond bands and restored the center ring. We made new straight bands for her daughters. You can tell your daughters, these rings were from your Great Grandma Lowena's wedding set. 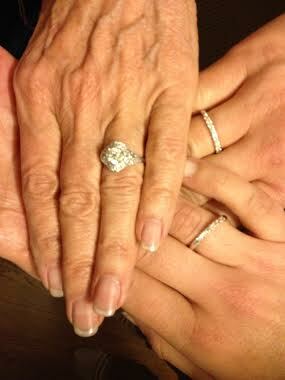 Then you can tell Grandma Lowena's story and those rings will be more special to your daughters. 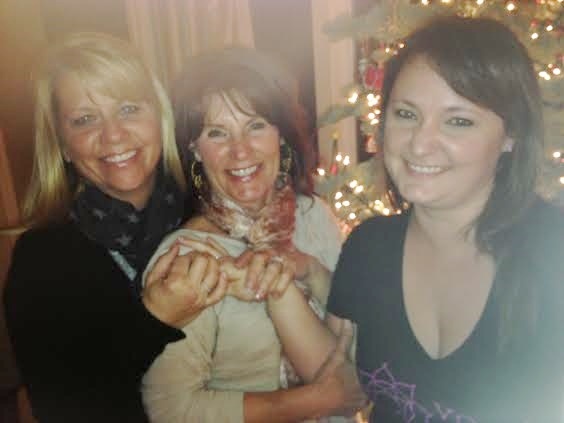 Vikki and Her Daughters. They Loved the Rings! If you remove the diamonds from the old wedding ring and make something new, that new ring or pendant that you will wear will remind you of her and her love for you. Re-using diamonds or gemstones is something I regularly recommend. I feel that the energy of the person who wore that ring or earrings is in the gemstones. When a new piece is made, it's yours, but it will feel embued with the love of the giver. It doesn't matter that you are changing it. It matters that those were her diamonds. She'd rather have you wear a memento of her, than keep her old ring like a shrine in a safe. You can take the old setting of the ring and put Cubic Zerconia's (fake diamonds), in it and size it to your finger size and wear it in front of your Grandfather now and then. Seeing that ring will please him. Honor the Love the Gift Was Given to You In. Wear It! Create a new design that works for you, your fashion style and lifestyle with Grandma Lowena's diamonds in it. Tell your daughter and your son and family about her and keep her memory alive. One day the piece of jewelry you made from her wedding ring will be a cherished heirloom, perhaps to be changed into the style of the day by your heirs. 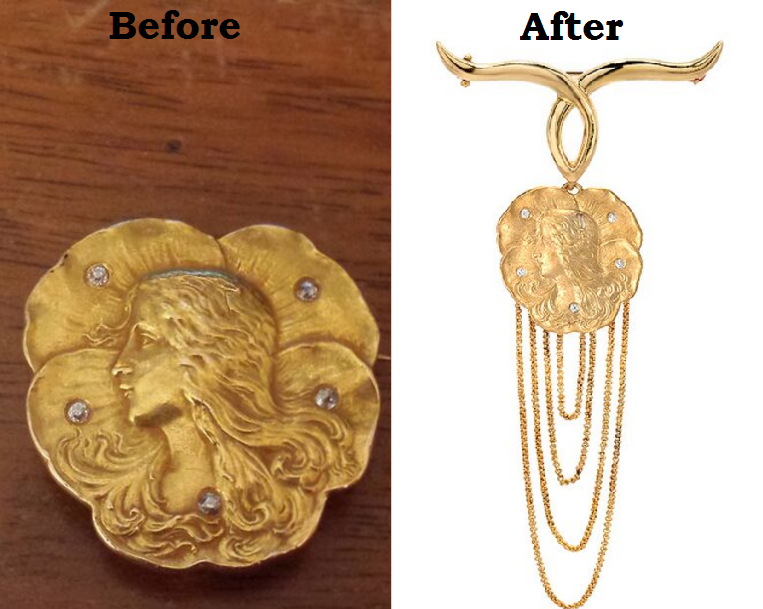 This beautiful Art Nouveau pendant came to my client from her mother. She wanted to honor it. However she rarely wore necklaces. Pendants weren't her thing, but she did love pins. Wanting to honor the curvaceous style of the design, I came up with a top section for this beauty. What Do You Do With Your Inherited Jewelry? 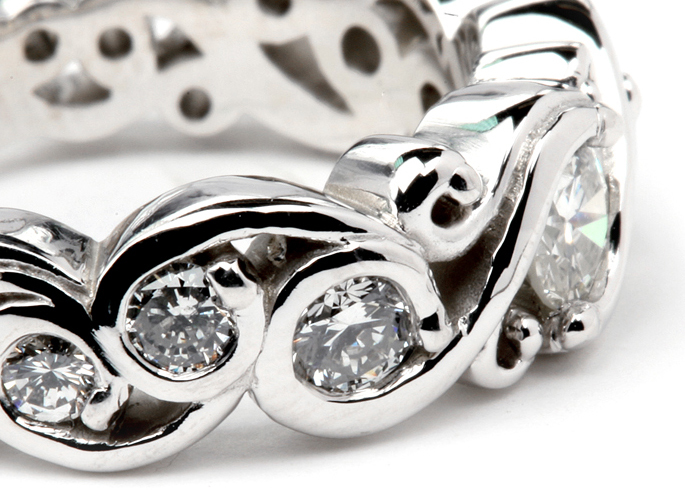 Wear it, share the stories and add priceless family significance to your inherited jewelry! Wear It Don't Warehouse It! 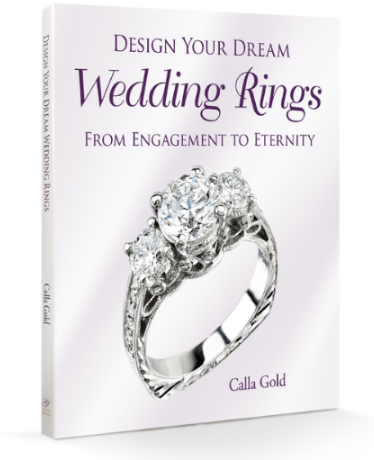 There are a number of real life before and afters utilizing older and inherited jewelry in the photo albums at www.facebook.com/callagoldjewelry. 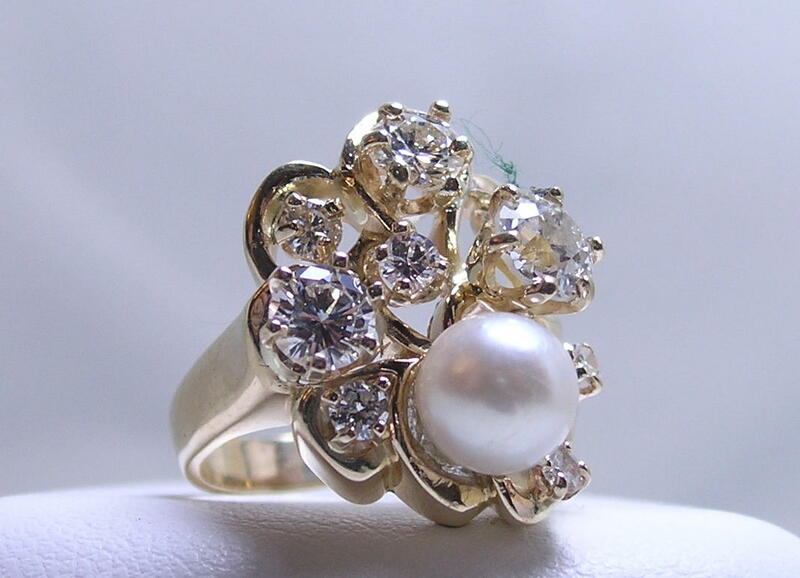 Other posts to check out: Using Inherited Diamonds in Wedding Rings, Using Inherited Pearls creatively. 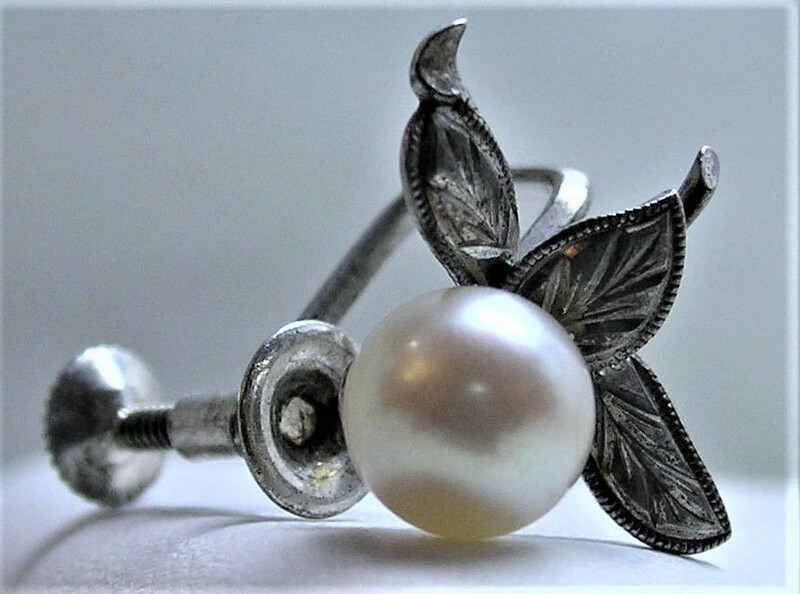 Click on the Revitalizing Jewelry category for more posts. Inherited Jewelry - What to Do With Your Inherited Jewelry? 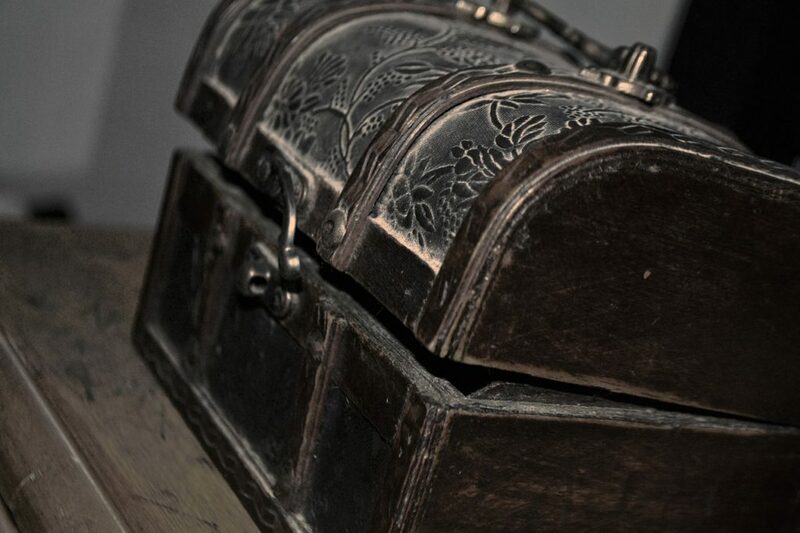 Is Your Jewelry Box a Minefield of Unworn Jewelry? Hi Calla!! Loving your before and after pics here!! Do antique diamonds tend to be higher in quality? Just wondering if that isn’t another reason why revamping the old might not be a much better way to go. Keep those pics coming! I love them!! Calla: I see that you are as good at using words as solving jewelry dilemmas. What fun to read your posts even if I don’t have any inherited treasures just yet. You know, that is a really cool idea and I think a lot of people just don’t realize that this is an option. Great post! Hello Calla: I haven’t inherited anything worth value yet, but I do have a ring that broke at the bottom (if that’s what you call the part directly under the stone). I need to pull that sucker out of whatever box I stashed it in and bring it to you for some ring love! I love “wear it, don’t warehouse it” It is soo true. How many airlooms are put away, never to see the light of day. I am in full agreement here! I was given a ring of my grandmothers but I wanted to find out what kind it was (silver, white gold etc) Where do I go for this? I received my grandmothers engraved wedding rings. Any suggestions? Id like to keep them as they are but I cant wear them because im afraid to bend them. They are silver not gold. What do you do if you’ve inherited yellow gold jewellery, and you never wear yellow gold? I wear silver and white gold. I’ve inherited some nice things from my Mom, and they have not been worn for 10 years because I don’t wear yellow gold. I would like to wear them but I just don’t wear yellow gold.